Jakarta’s average highest temperature is 32.58 degrees celsius. The average lowest temperature is 24.8 degrees celsius. The temperature is quite hot the whole year. The average rainy days are 168 days. Jakarta has dry seasons and wet seasons instead of the four seasons, so that means you need to have an umbrella even though it is hot. In Jakarta, there are many types of cars and other transportation that you can use. For example, there are different types of cars that starts with the letter “b”. One of them is called a becak. Of course Jakarta doesn’t only have good things. In Jakarta, there are 2 main environmental problems. They are urban air pollution and animals are in danger of extinction. Because of the air pollution, the waters are very dirty. Most of the water has garbage in it and because of the floods occur commonly, so do not drink the water are sold in streets or water that is running through the cities. Drink the water that are sold in shops. The reason why I recommend you not to drink the water that are sold in streets are because the people who is selling it might have taken the water from the dirty water. The other problem, animal extinction are a big problem in Jakarta. The reason are mostly the trees getting cut. 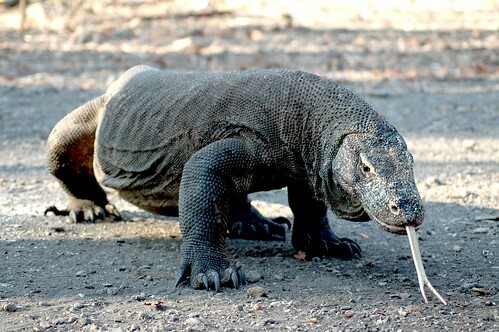 The most common animals are the Komodo dragon(the world biggest lizard) and the orangutans. There are now programmes in indonesia to help increase the numbers of orang-utans and release them back into the wild.